I’ve always loved reading. It stems from the memories I have of visiting the Woodlawn Heights Branch of the NY Public Library with my grandmother and later the Mount Vernon, Bronxville and Yonkers Public Libraries. I even found myself trekking to Copley Square in amiable weather to spend hours soaking in the grandeur of the Boston Public Library when I wanted a break from the library on the BU Campus (Go Terriers!). Apart from the serenity I feel in libraries, I loved the ritual of picking out novels that caught my eye – for whatever reason – and diving headlong into the works of writers from a particular literary movement, like the Harlem Renaissance, or consuming as much of a single author’s work as I could find like Stephen King or Agatha Christie. I’m sure my childhood predisposed me to find joy in spending hours alone consumed by the worlds created in the stories I read. Somehow this woman overcame that rut to read over 100 books in a year. I was inspired. I was motivated. I even saved her spreadsheet to see how many of the books on her list I could read, though I was quickly intimidated by the sheer size. After that, I read a trickle of new books; maybe a handful in 2016 and 2017 combined. 2018 was different. I felt like in a new place, where I knew no one and was staying home instead of working there was nothing holding me back. I am still nowhere close to reading 100 books, but I have spent more time seeking out new books to read by authors from diverse backgrounds. 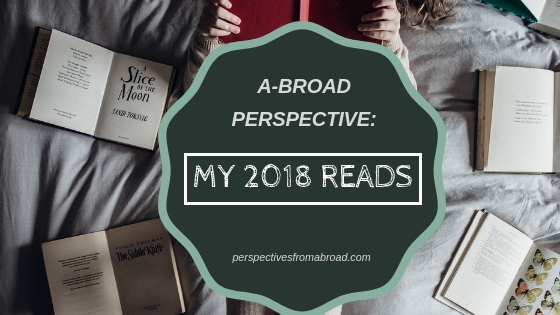 What I ended up reading were six very different books by women – a couple familiar, the majority not – whose voices captivated my imagination and transported me from the at times overwhelming reality of living abroad. I read this at the urging of a friend so that we could have something to discuss on WhatsApp from our respective time zones. Perhaps it was because I was only recently removed from the United States, but the injustice the main characters endured because of an imperfect system was poignant and left me feeling grateful to have escaped a similar fate. It was wonderfully written, and I couldn’t put my iPad down (to the displeasure of my kids who wanted to watch YouTube videos), but ultimately it was a jarring example of the detours life can take. After reading An American Marriage, I needed something a little more light-hearted. 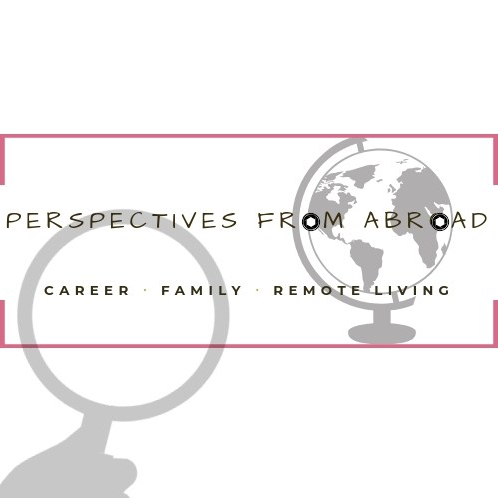 This book fully delivered on my desire for some easy reading and reminded me, just as I was getting to know other expats, that nothing is ever how it seems. I found myself getting lost in thought wondering how passersby and other people I encountered went about their lives. Yet I was surprisingly sullen after finishing it remembering that the suburban monotony described was no longer one I was living. For the next book, I wanted to read about an experience that more closely related to mine currently. It was thrilling to go along for the ride as the newlyweds at the center of the story adjusted to life in Italy after World War II and learned things about each other that I already knew. Their 50s-style secrets were not so relatable to me, though I felt its weight as the story unraveled. I think I was also starting to learn that you can’t always get everything you want from a novel. I have been waiting for this book since I heard it existed. Despite the subject matter, I eagerly awaited another piece of literature written by someone I respected so profoundly. It was like reaching back in time and witnessing a new work. I have been in awe of Zora Neale Hurston’s ability to bring words to life since reading Their Eyes Were Watching God, so having a chance to experience her anthropological work in this way was a real gift. I honestly felt immersed in Cudjo Lewis’ world, his memories and Hurston’s approach to getting this piece of history recorded. After Barracoon: The Story of the Last “Black Cargo”, I needed to dig into fiction again and discover a new contemporary author. This second novel by Celeste Ng was just what I needed. The families were such interesting characters, and from the way you are introduced to them, it’s hard not to sit for hours at a time swiping along to see what happens next. It left me eager to find another well-woven story. In my search for a good story, I learned that Isabel Allende had some more recent novels than the ones I’d read years before. She’s so good at telling stories about love and loss over the course of generations. This story is no different. It also reminded me how much I love the magical realism genre and how many novels I’d read fit into that category. Maybe that’s the direction I go in for the next read. I’m hoping to fit in at least a few more books before the new year. How many books do you get through in a year as a parent? Have you read something recently that I absolutely need to add to the list? Thanks for the recommendation! I’m adding it to the list. Read Pachinko by Min Jin Lee. A well-written tale of love, loss, and hardship that spans 3 generations. Sounds like a beautiful story. I am definitely adding to the list.